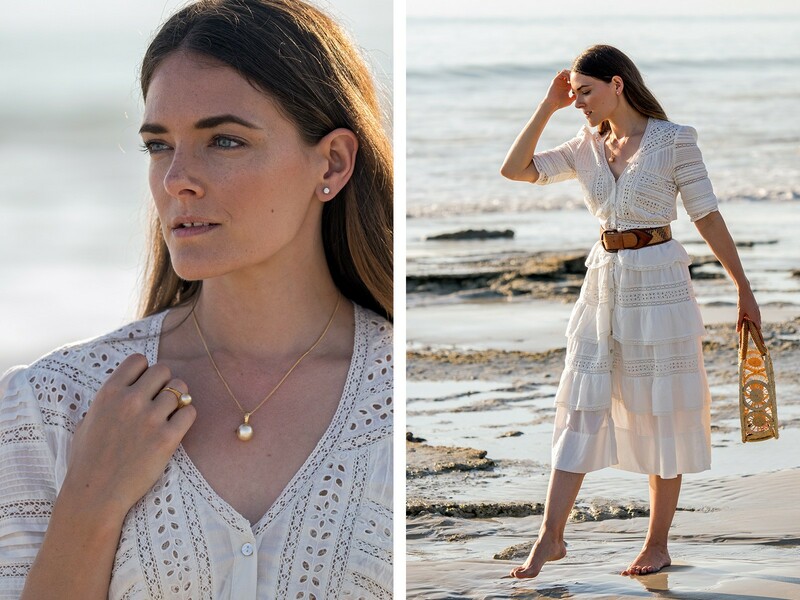 Whilst exploring our beautiful home town of Broome, fashion and lifestyle blogger Jenelle Witty of Inspiring Wit visited the Allure South Sea Pearls showroom to embrace Broome’s rich pearling history and learn more about the world of Allure. 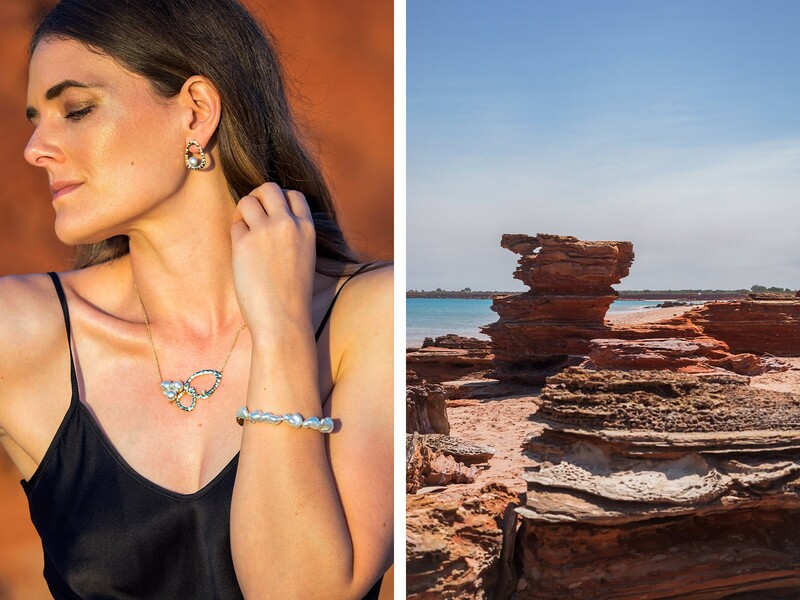 The beautiful landscape around us is a continuous source of inspiration, so it seemed fitting that Jenelle was draped in a stunning selection of glistening diamond and South Sea pearl jewellery from our new collection to explore the many iconic spots around Broome. 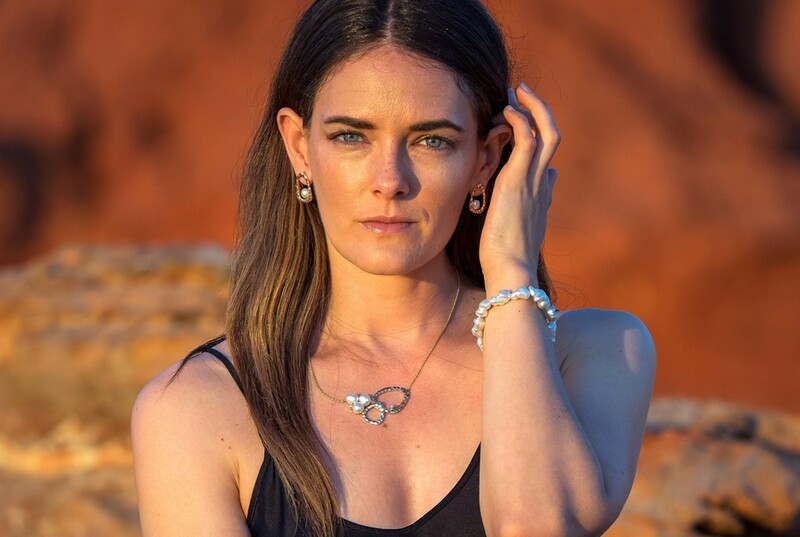 Jenelle at Reddell Beach wearing the ‘Journey to the Sea’ pearl earrings and matching necklace, and a South Sea pearl strand bracelet. Reddell Beach – This quiet beach is recognisable for its stunning sculptural red rock formations, accessible from the unsealed Kavite Road. Gantheaume Point – Known for its dinosaur footprints preserved in the reef rock, if you are open to an early morning start, make your way down to see them before the tide comes in. Alternatively, the stunning red rock cliffs are beautiful to visit during high tide. Staircase To The Moon – A hugely popular natural phenomena to visit over the Roebuck Bay mangroves, best viewed from the lawns at The Mangrove Hotel. Be prepared to arrive mid-afternoon to secure a spot. Streeters Jetty – Nestled among the historic Chinatown and home of Allure, don’t miss a short walk to visit the historical jetty over the mangroves. 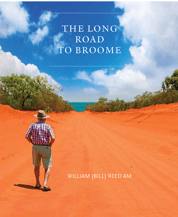 Cable Beach – Visit Broome’s most iconic white sand beach. The best time to visit is anytime from 3pm, when the light is golden and dreamy, before dipping into some of the world’s most beautiful sunsets. Join the tourists on the Camel Trains or enjoy a good beach walk as a great alternative. Mango Smoothies – Delicious and refreshing, visit the Courthouse weekend markets for an amazing mango smoothie from the famous smoothie booth – you will want two. Matso’s Brewery – With an interesting variety of brews, try the ginger beer or a paddle to taste a few of the different beers on offer. If you are hungry, the tuna tempura board is delicious too. The Mango Place – For a laid-back tasty lunch, take a 15-minute drive out of town for wood oven mango pizzas in the garden. The Good Cartel – A great spot for relaxed coffee, breakfast or lunch, the brekkie burrito and Cartel BLAT were a favourite. Zookeepers Broome – This is the best spot around the Cable Beach area, perfect for a long brunch. Johnny Sausage – With a lively atmosphere and a delicious menu, this modern Italian offering at The Mangrove Hotel was a gastronomic highlight. 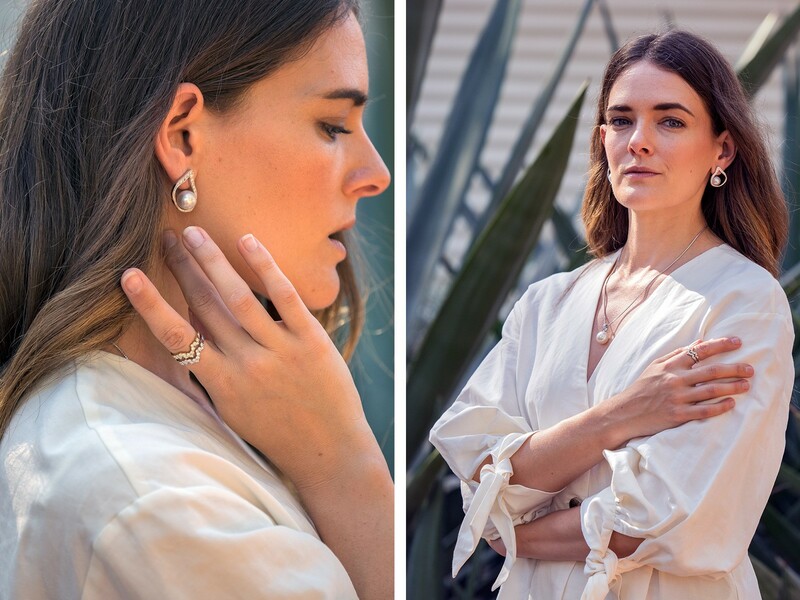 Jenelle at Cable Beach Resort wearing our diamond stackable rings, South Sea pearl and diamond earrings and pendant. 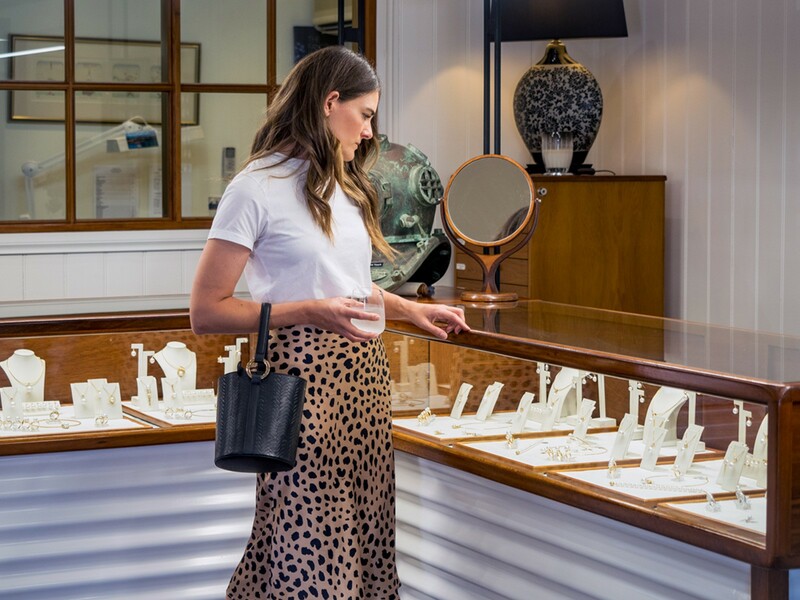 Discover our new collection by visiting our e-boutique or one of our locations.